Can I dynamically group my "On Sale" items? 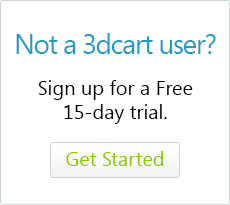 One of the exciting features in 3dcart is the use of Smart Categories. These special types of product categories will automatically classify products in real time based on their settings or content. One of the parameters allowed with Smart Categories is a setting for your On Sale items. With this setting, you can create a category named "On Sale" (or something similar), and use the Smart Category feature to dynamically list your products as they are put on Sale.